Mrs. Daniels and Mrs. Bailey loved planning for and spending the day with Maine author and illustrator Kevin Hawkes. All PK-2 students at the Belgrade Central School had a blast. This visit was made possible by funding from the Stevens Fund and we are so grateful. The day was full of drawing, storytelling, pink bunny slippers and lots of smiles. 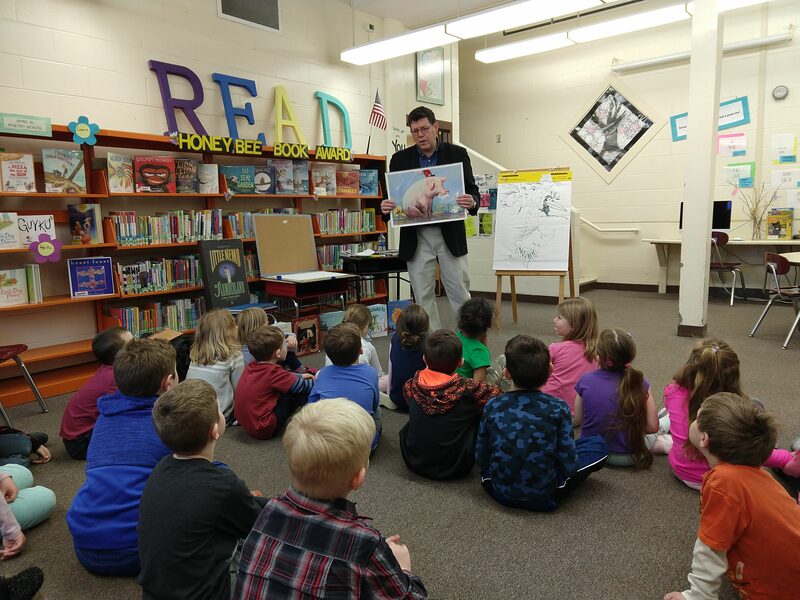 Staff and students alike were charmed by Kevin Hawkes’ wonderful sense of humor, imaginative drawings and his obvious delight in spending time with children.